DOE's Fake News When It Comes To Student Academic Achievement. Since the election of Donald Trump as President, "fake news", is the news. Be it from Trump himself , the Democrats, or the media, "fake news" is all the rage. 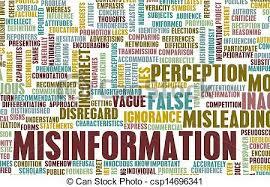 However, at the DOE, fake news has or misinformation has been the name of the game since the Bloomberg era and continues with Bill de Blasio. What do I mean by fake news? The graduation rate which is easily manipulated and fails to show real student academic achievement is what I call fake news.. Every year the City tells the world that the graduation rate increases from the previous year The latest is 72%. However, ask any business or institution of higher learning what they think of the academic proficiency of the New York City graduates and you get a near universal response of how deficient academically these graduates are. In fact, 78% of all New York City high school graduates must take no-credit remedial courses in college. Furthermore, the average New York City high school averages 37% "college and career readiness" of the high school graduates. Not an encouraging statistic if you ask me. Exclude the 45 top performing high schools, most of them screened or specialized and the remainder of the high schools average closer to 22% for "college and career readiness". A study by StudentsFirst lists the lowest 72 high schools in the City, based on the 2014-15 school year. While I usually ignore the education deformer group, their numbers show how bogus the graduation rate is when compared to real academic proficiency. I also wrote about the "diploma mill" high schools Here and Here. 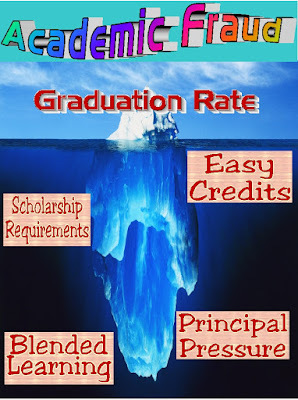 The City high schools are full of easy credit "credit recovery courses", online instruction without a certified teacher instructing students such as APEX or PLATO, and administrative pressure on teachers to pass undeserving students by imposing scholarship requirements. The result is that these "diploma mill" schools with there phony graduation rates is a disservice to the students. When you read in the newspapers that the City is improving the academic ability of their student population, remember its all "fake news"! In ten months (November 7. 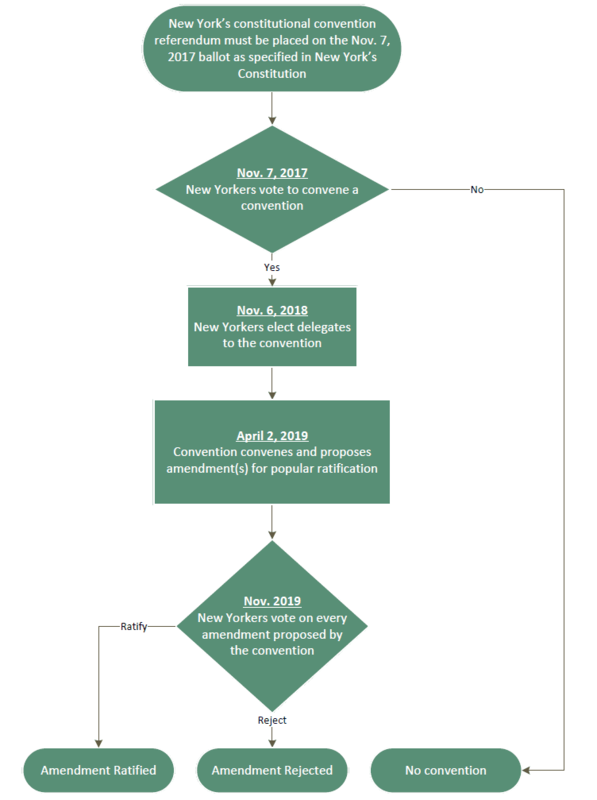 2017), New York State will have a Constitutional Convention referendum to determine if the state will have a Constitutional Convention and appoint delegates. The delegates are elected on November 8, 2018 and the Constitutional Convention is connived on April 2, 2019, where each and every referendum is voted on in the November 2019 election day. Any amendment that is approved probably comes into effect on January 1, 2020. Apparently, Governor Andrew Cuomo's support of the Constitutional Convention has cooled considerably since 2015 and in his latest budget, the Governor even failed to include funding for the Con-Con Commission that's needed to organize the Constitutional Convention. Without funding, it will be very difficult to publicize and propose different amendments. Moreover, the Democratic Assembly have shown little interest in supporting the Constitutional Convention. Even the Senate Republicans are lukewarm in their support since they can see an amendment of reducing large corporate donations being approved under the Constitutional Convention. While the State must have a Constitutional Convention every twenty years. Hopefully, with the lack of supportive politicians in both sides of the aisle and a Governor who seems to not to be so anxious in funding the Constitutional Convention, it will go down to the same overwhelming defeat as in 1998. That brings me to our union leadership's appeal to have the members increase their COPE contributions so that they can more effectively lobby for the Constitutional Convention's defeat. While, the union's appeal is understandable if the COPE funds were only used to for the defeat of the Constitutional Convention, the truth is our union leadership uses our COPE contributions to fund many different organizations, many of them I do not support or should not be funded. Remember this? Until our disconnected union leadership starts to ask its members where our dues and COPE contributions should go to, they get no COPE money from me. How to withdraw from COPE can be found Here. The Renewal High Schools Continue To Lose Students. Despite additional resources, a longer school day, and more money, the Renewal high schools continue to shed students. Moreover, veteran teachers refuse to apply to these schools due to the added stress and accountability associated with teaching at the Renewal schools. The result is an inexperienced and unstable teaching staff, who have a steep learning curve in the art of teaching and learning the curriculum. Finally, parents refuse to send their academically proficient student to these struggling schools and since the DOE no longer allows these schools to get "over-the-counter" students, the schools continue to shed students. For example, August Martin High School has shed 33% of the original 679 students since 2014. In all the 31 Renewal high schools, only 3,371 students graduated, compared to 4,121 students back in 2013, the last year before the Renewal School program was established. Worse yet, the 2016 graduation numbers is 10% less than the 2015 for all the Renewal Schools. The dropout rate for the Renewal High Schools remain stubbornly high with 50% of the 31 Renewal High Schools having dropouts rates higher than before the Renewal program started. At the end of 2015 the 94 Renewal Schools shed 6,300 students since the start of the Renewal School program. Since middle school students can choose to go to any high school they apply to, assuming they have the academic qualifications. How does the DOE expect parents to subject their child as a guinea pig to an academically struggling school with an inexperienced teaching staff, and longer hours? The answer is they don't. Better yet how many of the DOE policymakers send their children to Renewal Schools? How about "zero"! The DOE may claim they are turning the corner but the reality is the Renewal high schools are a failure and the DOE is simply pouring money in a bottomless black hole. Its time to bring back the community high schools and zoning, while converting the Renewal School program back to a community high school. That's the only way to attract academically achieving students. 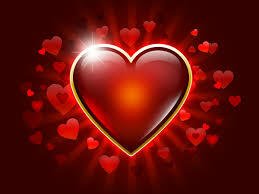 Our New York State Pension Compares Very Favorably To Other State Pensions. Despite the news media occasionally writing articles on how our generous benefits will bankrupt the NYS pension system, the sky is not falling and our pension system is doing just fine thank you. The truth is that the New York State pension is doing quite well and compares very favorably with other state pensions. Both in funding and in benefits. Moreover, unlike a dozen or so states, like California and most of New England, New York State employees also are eligible for Social Security benefits. Even for the latest Tier VI pension, the maximum employee contribution of 6% is still low, only a little over half of what the local and or State government must contribute (11.72%, down from 17.23% the year before) to keep the pension system solvent. During the recession, the NYS pension was in trouble as local and State government had to contribute over 20%, compared to less than 3% by the employee. However, the State was smart enough to ensure the pension plan was funded and the stock market has recovered nicely. Presently, the average NYS employee contribution is still a low 3.3% (all tiers) while the national average is 7.4% and the total contribution is one of the lowest in the nation..
Our pension is considered "well funded" and unlike New Jersey and Connecticut, there is no major potential shortfall that requires major action to correct and may reduce future pensions. Compared to the rest of the nation, New York State has done a good job keeping their pension promises to their employees. 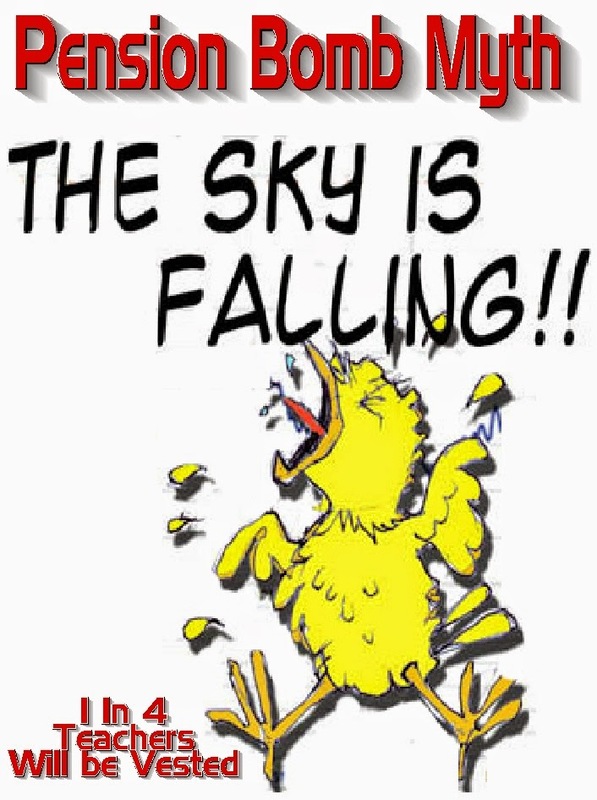 No, the sky is not falling when it comes to our pension system. You can read the latest example of the media scare tactics Here. Below is a list of all 50 states and their employee and employee pension contributions. For Randy Asher, Its Three Strikes And You're Out! In baseball when a batter has three strikes he is out. That appears to be the case of Randy Asher, the ex-Principal of Brooklyn Tech. Under his watch three staff members have been accused of sexual misconduct. One went to jail, while the other two resigned when presented with the evidence. Interestingly, the third accusation was substantiated by SCI in December and that is about the time that Chancellor Carmen Farina removed Randy Asher as Principal of Brooklyn Tech and put in charge of the ATR issue. Coincidence? I suspect not. If my suspicions are correct and Randy Asher was removed due to his failure to properly oversee his staff, then look for little or no change in the ATR situation since Mr. Asher will have no power to force principals to hire ATRs. That's right, regardless if he succeeds in stopping the rotation, few, if any ATRs will be offered permanent positions and unless principals are required by the Chancellor in filling their vacancies with excessed teachers, the ATR crisis will continue unabated. I hope I'm wrong but knowing the DOE and how they have brainwashed principals, especially the Leadership Academy principals, that ATRs are "unwanted" or "bad" teachers and the fact that Mr. Asher will have no authority to significantly change the hiring process, along with the continuation of "fair student funding", makes hiring qualified ATRs a rarity. You can read the other staff stories Here and Here. When Ideology Trumps What's Best For Students. If you're a regular reader of my blog you know that I believe that the DOE wastes millions of dollars on a bloated bureaucracy, short changes schools of needed resources and funding, and implements policies that keep experienced, veteran teachers without a classroom. In addition, the DOE is considered the enemy and not a friend to the classroom teacher, the same as under Mayor Bloomberg. The reason is the ideology of the Bloomberg era remains at Tweed. Nowhere else in our country would a school district be allowed to spend money so lavishly on their own creature comforts and expensive consultants at the expense both to the taxpayer and the students they are supposed to educate. Yet the DOE wastes countless millions on their ideological pursuit of data mining, teacher accountability, and lawyers. Moreover, the DOE allows 1,300 to 1,600 ATRs to act as substitute teachers and is estimated to cost over $100 million dollars annually. Finally, their school-based fair student funding encourages principals to hire "the cheapest and not the best teachers" for their school. The present DOE budget is 29.2 billion, that is a 7.3% increase since last year and a 22% increase since Bill de Blasio took over as Mayor. By contrast, teacher salaries have only risen 5.5% since the Mayor took over the City and schools have only seen a 3% to 6% increase in their funding. If you realize that 4,500 teachers leave the system every year and are replaced by cheaper "newbies" the overall teacher salary has probably changed little or even dropped. Further, class sizes have remained unchanged and are the highest in the State. Rather than hire more teachers and add more seats, the DOE encourages schools to give a "sixth period" to teachers and stuff as many students as possible in any one class. Until Chancellor Carmen Farina retires for good and the new Chancellor "cleans house" at Tweed, ideology will trump student needs in today's DOE. Children last.....Always! ATR Update, Rumors, Rumors, And More Rumors. Since I broke the story about the rumor back in January that the ATR rotation may be coming to an end and that the new ATR DOE leader will start to place ATRs in vacancies, little has actually changed. In fact, even more rumors and disinformation are being spread about the ATRs. While I know no more than the rest of you, I do know that some of the rumors are downright wrong. Here is what I know and don't know about each rumor. According to the UFT leadership and ATR Assignment the rotations will continue next month. 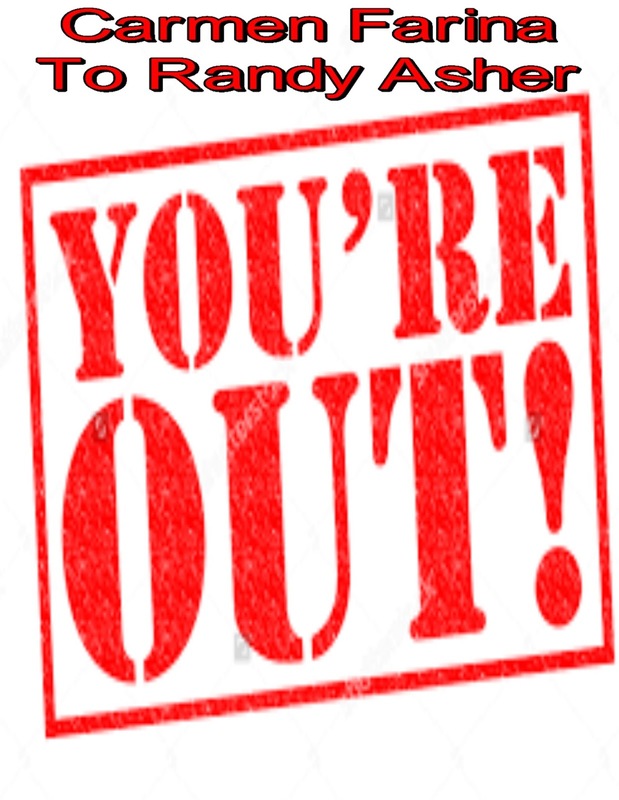 Both claim that the ATRs are not being placed in one school to the end of the year, While Randy Asher did tell principals in a meeting that he was intending to eliminate the ATR rotation and place some ATRs permanently in vacancies, he was vague on how he was to achieve it. ATRs have been forced placed for years and nothing changes. The few vacancies that do exist after the outside the system January hiring are few and far between. Some schools hide vacancies or find excuses to keep the vacancies unfilled. How Mr. Asher's proposals will significantly affects the ATR hiring process remains unknown if at all. 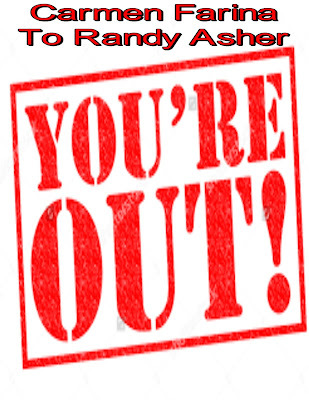 I find it highly unlikely that a school administration will have the time or inclination to add to their paperwork by observing ATRs especially if the ATR is only there monthly or is not provisionally hired for a long-term leave replacement or vacancy. My understanding is that the field supervisors will continue to rate the ATRs in rotation not the schools. The ATRs are observed using Teaching for the 21st century and not Charlotte Dainelson. The union would have to reopen the contract to change the ATR evaluation system. While I don't trust the union on many levels one issue they have been rock steady on was no ATR time limit. An ATR can be in that status for the rest of their career. Can the union give up the ATRs in a future contract? Possibly, but the two unions that agreed to an ATR time limit, Chicago and Washington D.C. found themselves voted out of power and our union leadership knows that. I do agree the union leadership should have sent out a mass email either debunking the rumors and informing the members what issues are being negotiated with the DOE concerning ATRs. 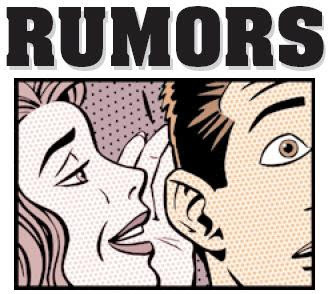 This lack of transparency and secrecy has allowed the rumors to spread throughout the ATR community and is it any wonder that most every day there is a new rumor cropping up and the blame must be laid at the feet of our disconnected union leadership who continually fails to get input from the ATR community on issues affecting them. High School Science Instruction Is Given Short Shift By The DOE. Increasingly, principals who are subject to tight budgets and not fully funded, find different methods to reduce expenses. One of the ways these principals reduce their budget is to cut school staff. Many schools have no social worker and are usually short guidance counselors in their quest to cut expenses. Moreover, the schools will try to reduce support personnel like paraprofessionals and school secretaries and try to use much cheaper school aids instead. However, the favorite tactic that principals use is to push veteran teachers into retirement, either by persuasion or by targeting them, and hire cheaper "newbie" teachers in their place. Given the above tactics that principals use to reduce expenses, one of their favorite is to reduce Science instruction both for Regents and Advanced Placement courses and save on Science teachers. The DOE approved and encouraged practice was the byproduct of the terrible 2005 contract that allowed principals to become CEO's and not instructional leaders of their school. First, NYS Science Regents is based upon five days of instruction and an extra period for laboratory skills. Otherwise, known as a 5-1 program. Outside of NYC, all school districts in the State run the Regents recommended 5-1 program. However, thanks to the UFT allowing extra teacher time in the 2005 contract, the DOE quietly encouraged schools to raise the classroom instruction time to barley meet the time requirement set by the State and make it a 4-1 program. The DOE and schools knew full well that the few extra minutes of classroom time was only used for reinforcing the day's lesson and not to start a new lesson. The result was that as the end of the school year approached many Science teachers were under increasing pressure just to finish the curriculum and there was no time for Regents review since there lost 30 days of instruction. The result was a lower percentage of students passing the Regents and fewer yet who achieved mastery in the course. Second, few NYC schools follow the College Board's recommendations of double periods daily and no more than 20 students in any Advanced Placement class. The rule in New York City is to dump up to the contract limit of 34 students in single period Advanced Placement classes. Is it any wonder that New York City Public School students fair poorly, when compared to the rest of the country? Finally, it is not all that uncommon to have teachers who are uncertified in the Science they are instructing in. Even in the elementary and middle schools most schools will have a non-Science teacher trying to teach Science, with usually disastrous results. Even in the high schools many teachers who teach Regents Earth Science are not certified in the subject. How does the DOE and school principals get away withm this educational abuse of the student's Science education? Simple when our union leadership stays so silent on the abuse that you can hear crickets chirping at UFT Headquarters . Therefore, instead of exposing the Science education travesty in the City schools they are complicit in sweeping the issue under the rug. You don't need to be rocket scientist to realize that both the DOE and our disconnected union leadership rather ignore the issue than to help students get a quality Science education. Children last...Always! The Sweetheart Endorsement Our Union Gave Mayor Bill De Blasio. Last week Michael Mulgrew announced, without member input, the endorsement of Mayor Bill de Blasio for reelection. What "takebacks" did our disconnected union leadership negotiate with the Mayor to get the union's endorsement? Nothing, nothing whatsoever. It would have been nice if our union played hardball and demanded some "takebacks" from the Bloomberg era of massive "givebacks". Here are just some examples of the "takebacks" I would have liked to see. Where is the class size reductions promised by Bill de Blasio when he was running the first time? Why didn't the union leadership hold the Mayor's feet to the fire? Instead class sizes have remained largely unchanged and are the highest in New York State. Despite promises to the contrary, few ATRs have landed permanent positions and there still is between 1,300 and 1,600 ATRs without permanent placements. Despite the school system averaging 4,500 vacancies annually, these experienced and veteran teachers have little chance to land a permanent position under present DOE policy that originated from the Bloomberg era. 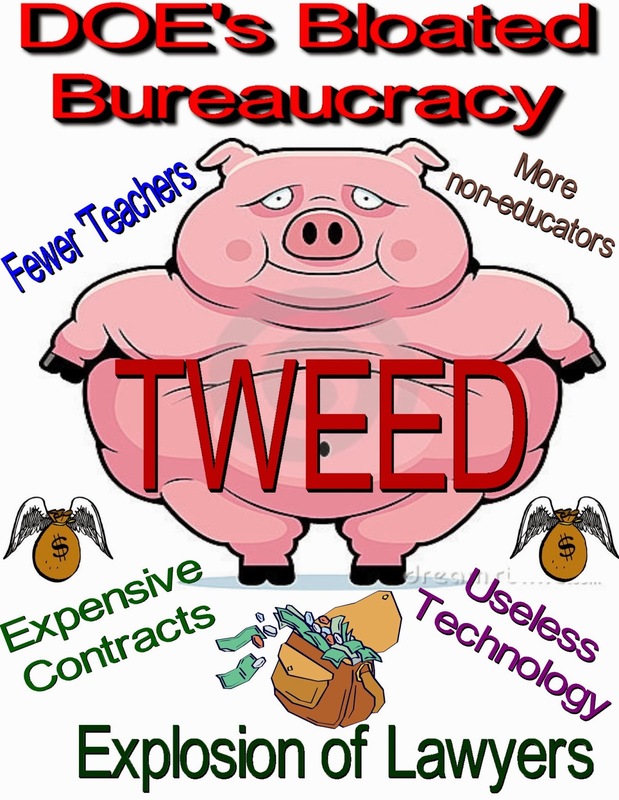 Teacher autonomy in the classroom has been replaced by administrative micromanaging and data mining. Moreover, school policy is top down and teacher voice is ignored, when given, and the DOE is deaf when it comes to teacher complaints. Be it incompetent and vindictive principals or lax student discipline. Even complaints about academic fraud is more likely to get the teacher disciplined then the perpetrators. Shouldn't our union leaders be pressuring the Mayor and his staff to empower teachers since empowered teachers result in better student academic outcomes. How about giving school staff their parking passes back? School staff was the most affected by Michael Bloomberg's limiting parking passes and made life more difficult for many teachers. Unfortunately, our disconnected union leadership rather be the Mayor's valentine rather than demand "takebacks" for our support for his reelection. 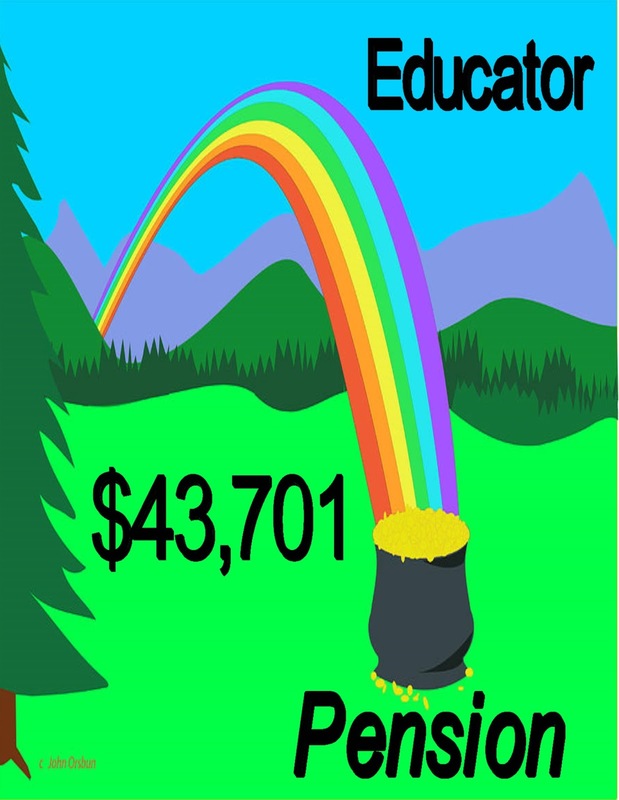 What Is The Average NYC Educator Pension Last Year? The average educator pension for all New York City retirees in 2016 was $43,701. Not bad but not a windfall by any means. However, if you read the Daily News headline, the newspaper makes it seem that the average pension for educators is $88,000. Of course, inside the article you find out that their definition of "average" is much different than everybody else s.
It turns out the Daily News average salary is based upon educators (including Assistant Principals and Principals) who retired in 2015 with 30 or more years experience, not the average of all educators who retired in 2015. Deceiving? I certainly think it is. Obviously, this is the newspaper's opening salvo on educator pensions as the Constitutional Convention is discussed and this may be one of the issues brought up. Once again the Daily News is practicing questionable journalism in their quest to demonize teachers and their benefits. To Caring Parents. Avoid These Queens High Schools At All Costs. 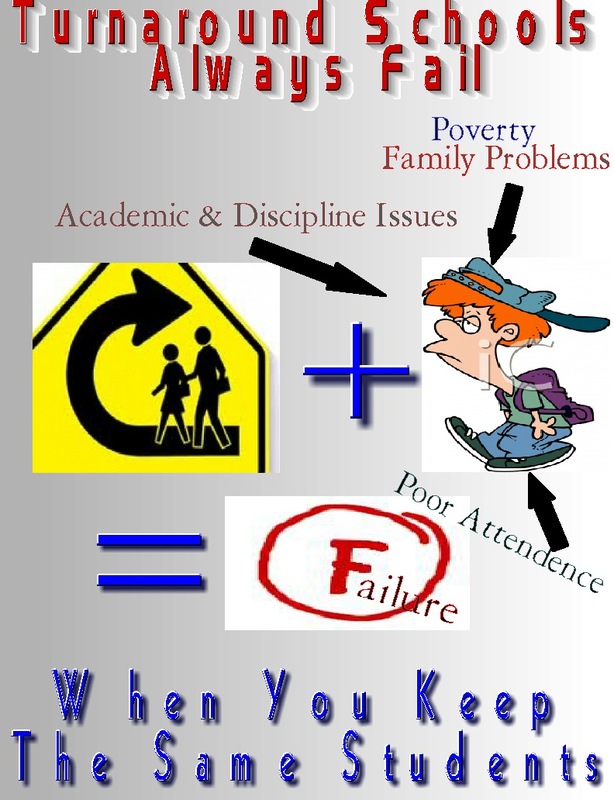 A major problem parents have is how to guide their middle school child to a safe and academically proficient high school. This post will help parents stay away from schools that have the best chance to potentially harm their child academically. The three types of schools are the Renewal high schools, high schools with a terrible administration, and diploma mill high schools with low academic proficiency. Some high schools may fall in more than one category. However, just being in one of the three categories should disqualify the school from consideration by caring parents who want a quality education for their child. 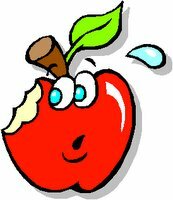 The Renewal schools, which are academically struggling schools, are rapidly losing experienced and veteran educators to retirement, resignation, or transfer and are populated by "newbie teachers" who themselves suffer a steep learning curve to master the art of teaching. These schools suffer from classroom management problems, instructors struggling to learn the curriculum themselves, and are subject to an unstable school environment with high teacher turnover. Just take a look at this post to better understand why parents don't want their academically proficient child subject to the Renewal School environment. 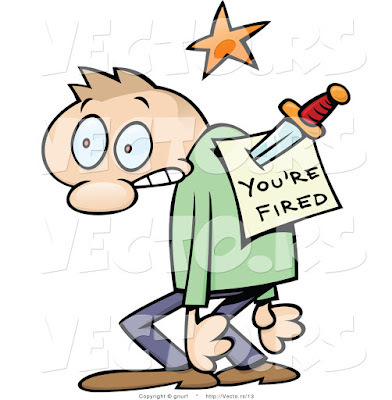 Some of the highest teacher turnover rates are usually associated with terrible principals and their administration. For example the neighborhood around a school like William Cullen Bryant High School is middle class, yet the school cannot attract the neighborhood students because of the Principal, Namita Dwarka, and her Assistant Principals. Instead the school is forced to reach out to the DOE to get enough "over-the-counter" students to keep their numbers up. Under her four year tenure as Principal, of the 173 teachers she inherited, she has seen 137 leave. You can read my post about her and other bad principals Here. There are far too many schools that operate as "diploma mills" with very low "college and career readiness" rate. Many of the Rockaway High Schools fit into this category. In fact, almost all the high schools in Southeast Queens can fall into the diploma mill category. Add the Renewal Schools and you have unprepared graduates for the post secondary and the adult world. Parents in the know and who have academically proficient children would be wise to avoid these schools at all costs. To Chancellor Carmen Farina - Tomorrow Really Is A Beautiful Day. Back in February of 2014, Carmen Farina, the newly appointed Chancellor of the New York City schools wrongly decided to keep schools open, despite the National Weather Services forecast of heavy snow just when children where traveling to their schools. Her poor decision making was compounded by her statement that "it's a beautiful day", despite a heavy snow and sleet storm happening at the moment outside her window. She then claimed that it was important for the children to have a hot lunch. However, few schools had enough staff to make a hot lunch and the vast majority of students trapped in their schools ended up with cold sandwiches. To make matters even worse she justified keeping the schools open because it was a babysitting service for parents. Of course most sane parents did not go to work and kept their children home rather than threaten their safety due to the elements. Moreover, aren't schools for educating children and not a babysitting service? 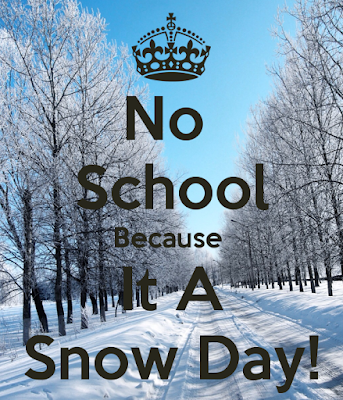 Finally, it was the first indication that Chancellor Carmen Farina was following the Bloomberg ideology to keep schools open at any cost, even if it potentially threatened the life and limb of children who travel to school through heavy snow and icy roads. Now that Chancellor Carmen Farina is apparently retiring at the end of the school year. She and Mayor Bill de Blasio have realized that its more important to keep children safe and have closed schools, Now tomorrow is really a beautiful day! The Good, The Bad, And The Ugly About The Bloomberg Small Schools. Back in 2009, Bill Gates, who pushed for small schools, soon realized that small schools didn't work. The one exception he said was the New York City (Bloomberg) small schools. Instead, Bill Gates focused on teacher accountability and evaluation based on test scores. Why was the Bloomberg small schools the exception? Simple. 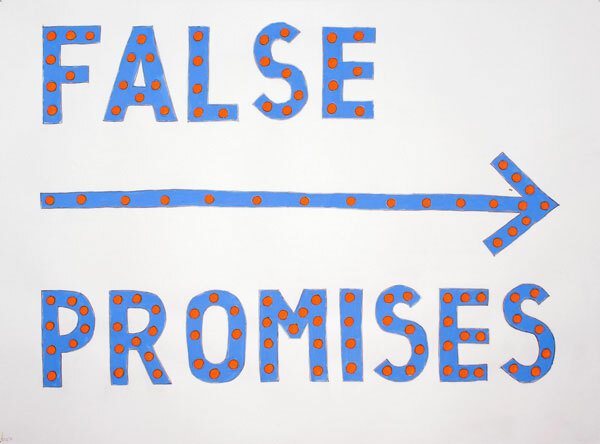 The Bloomberg small schools, to ensure they succeeded, were over funded, while the large comprehensive schools were underfunded by 20% or more of their fair student funding. Moreover, the Bloomberg small schools were allowed to exclude "high needs" students like English Language Learners, Special Education, and Behaviorally challenged students while dumping then in the large comprehensive schools he wanted and did close. Finally, if the Bloomberg small schools could not attract enough academically proficient students, they still received funding for the empty seats which kept class sizes small. The result was that the first few years, these Bloomberg schools had much higher academic proficiency rates and that is why Bill Gates found them a success. Of course, once the Bloomberg small schools were subject to the same funding and policies as the rest of the schools, the student academic achievement dropped significantly. Let's look at the good, the bad, and the ugly of the Bloomberg small schools and the false promises of a great education they claimed the students would get.. In theory, small schools allow for a more personal relationship between staff and students. In fact, many of these schools advertise the family-like atmosphere and that most teachers are familiar with the students and can provide emotional and social support as well as academic help. Usually, graduation rates are higher at small schools since fewer students fall through the gaps as the schools are better able to track students. Small schools have limited course selection, few electives, and no flexibility in their schedules. Moreover, despite the small school size, classes are usually at contract limits of 34 and students are forced to take courses that they are not capable of passing. Further, the Bloomberg small schools have a largely inexperienced staff and subject to high teacher turnover leading to an unstable school environment. Finally, many of the unscreeneed Bloomberg small schools are now required to select "over-the-counter" students. Many of them "high needs" and level one students just to reach the numbers when it comes to funding. No more funding for empty seats. The Bloomberg small schools have abysmally low "college and career readiness" rates Usually headed by a "Leadership Academy" Principal, and have a reputation of being top-heavy in administration and hostile to their teaching staff. Moreover, teacher autonomy in the classroom is virtually non-existent and micromanaging is the rule, where Danielson is used as a weapon. Finally, the graduates from these schools are subject to no-credit remedial courses and struggle in college. In other words. 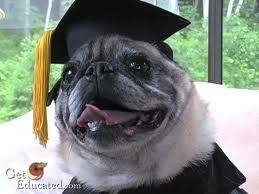 they graduate unprepared for life after high school. Remember, there are no "credit recovery courses" in college or administrative pressure to pass undeserving students and being absent or late gets one fired in the job market. Welcome to the real world and for far too many of these students its really a slap in their face. Finally, most students who are enrolled in the Bloomberg small schools will tell you it was one of their worst mistakes selecting their school. If you don't believe me then just ask them when you end up in these unscereened Bloomberg small schools. Inside The Numbers Of The Poor College And Career Readness Rates At These Diploma Mill Schools. In today's New York Post an article identified the high schools with high graduation rates and low "college and career readiness" rates. Not surprisingly, all of the schools are concentrated in two Boroughs. The Bronx and Brooklyn. Many of the schools are themed Bloomberg small schools which suffer from high teacher turnover. The list is found below. However, if one is to break down the school statistics you can find many other commonalities with the schools listed above. Let's look at what these diploma mill factories have in common. The student body is usually over 95% minority and a high percentage receive free lunch, a marker for deep poverty. Moreover, the schools tend to be male dominated. Finally, many of these schools have a much higher percentage of "high needs" students than the average school in the City.. The schools identified have a majority of untenured teachers and are subject to high teacher turnover as teachers flee these schools when the Open Market Transfer System opens up for the summer..
All these schools suffer from a high percentage of chronic student absenteeism and student discipline is an ongoing problem. The majority of the high schools are located in neighborhoods that are high poverty and considered unsafe. The bottom line is that until the schools have a stable teaching staff, s stringent and enforced student discipline code, and a more diverse student body. These schools will be the poster schools for diploma mills that simply push out students who are unprepared for post secondary education and the adult world. For all unscreened high schools in Queens you can find it Here. The Teacher Blame Game Continues. There is no question that Mayor Michael Bloomberg and his Chancellor, Joel Klein, tried to remake the New York City Public School; system into an education reform laboratory. The result was a failure of historic proportions as various iterations and policies were foisted on the schools, only to be discarded as yesterday's garbage. Large comprehensive high schools were closed and small ones were opened, top heavy on administrators and once the extra funding and student exclusions disappeared, the unscreened small schools ended up with lower academic achievement than the schools they replaced. However, far too many of the Bloomberg/Klein era policies survive to this day. Double standard in disciplining staff and administrators. Just like in the Bloomberg years, real student academic achievement weren't realized and the income/racial achievement gap stayed as wide as ever. 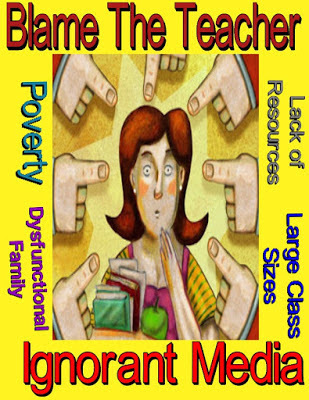 Who gets blamed for the lack of academic progress? 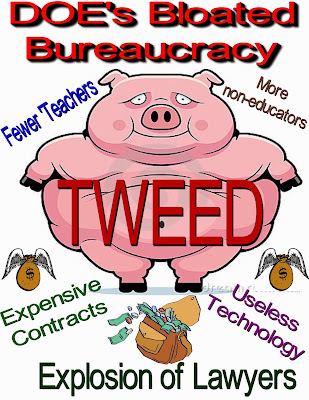 The failed education reform policies by bureaucrats, and politicians? 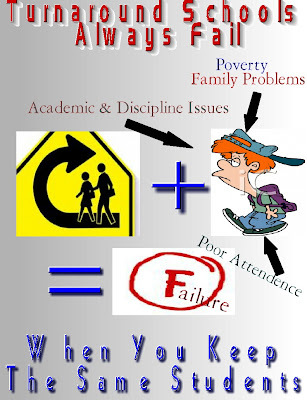 How about the poor parent involvement? It can't be the lack of resources and funding for the schools? Or was it the high teacher turnover and the policies that devalue veteran teachers? No? according to the news media its the teachers themselves! Now we will have the highly unqualified Betsy DeVos, who will do her best to divert money from the public schools to charter, private, and even virtual schools. If you think we teachers were unfairly treated before by the likes of Arnie Duncan and John King? When the new Secretary of Education finds that none of her policies will work who will she and her allies blame? The teachers and their unions of course. The UFT Leadership Is Once Again Secretly Negotiating With The DOE Without ATR Participation. Here we go again. Our disconnected union leadership ia apparently secretly negotiating with the DOE on changes to the ATR pool without reaching out to those affected, This time with Randy Asher and his staff at the DOE, Of course, the negotiations are top secret and there has been no leaks coming out of the DOE or UFT about what's on the table. However, every time the UFT leadership negotiates with the DOE, the ATRs end up with the short end of the stick. Let's see how our disconnected union leadership has hurt the ATRs since 2005. First, it was the terrible 2005 contract that our union agreed to let the DOE eliminate seniority transfers and bumping, which then resulted in the ATR pool., that started the ATR crisis. Second, this was soon followed up later in the year by the school-based "Fair Student Funding" that penalized schools financially that hired veteran teachers and also allowed schools to offload teachers from their budget after 60 days if they filed 3020-a charges, no matter how frivolous the charges are. The result was a massive influx of reassigned veteran teachers that reached 800 by 2007 Moreover, the UFT allowed the DOE to assign all teachers who won their 3020-a hearing or took a deal to be dumped into the ATR pool. Even an arbitrator award of "a letter to the file" resulted in the teacher losing their position in the school. Third, It was the UFT Vice President, Michael Mandel who brought up the idea of rotating ATRs from school to school and the DOE jumped at the suggestion and in 2011 the DOE and UFT implemented the ATR rotation that made ATRs "a stranger in a strange land". Did Michael Mandel or Leo Casey, the two members of the joint DOE/UFT ATR committee ever talk to the ATRs? Of course not. Thankfully Michael Mandel retired and Leo Casey is now with theAFT and both cannot do anymore harm to the ATRs. Fourth, our great negotiator, UFT President Michael Mulgrew negotiated his first contract that don't make members whole until 2020 and allowed the DOE to make ATRs "second class citizens" with reduced "due process" rights and made ATRs who won their 3020-a termination hearings "untouchables". Even after the UFT wisely allowed the 2014 contract provisions to sunset in 2016, the DOE still has two lists of ATRs. One list is for ATRs who were simply excessed from their school and the other who survived their 3020-a hearing. Guess which list the DOE refuses to hire from? Presently, I have little faith in our disconnected union leadership making our life better. They will stick to their "no time limit" for ATRs but beyond that, look for the union to agree to make our lives more difficult and lie to us that we have your back. More like being stabbed in the back as the DOE tries different ways to fire us. Why else will the union not reach out to the ATRs and have a representative or two to be involved in these delicate negotiations. To me the answer is obvious. They secretly wouldn't mind seeing us fired by any means possible.